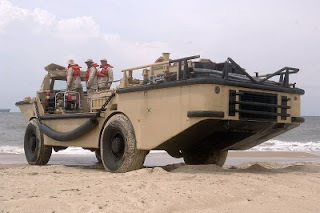 The LARC V (Lighter Amphibious Resupply Cargo-5 ton) was designed in the very late fifties, and went into production in the early sixties. The LARC V was the smallest of the LARC family with a 5 ton payload. There was also a LARC XV (15 ton), and a LARC VX (60 ton). An earlier version of the LARC LX was called a BARC. About 900 LARC V's were built, and about 600 were sunk as a means to dispose of them as the US pulled out of Vietnam. That left about 300 vehicles. A few LARC V's are still in active service, both in the US, and abroad, but not many are left today. 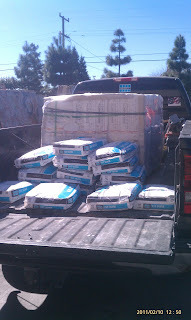 Self Leveling Underlayments are growing in popularity. They save time & labor. Eddy is mixing #86, two bags at a time! En Español: ¡Eddy esta mezclando #86, dos bolsas a la misma vez!" 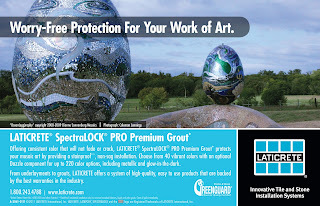 The Laticrete product catalog has been updated to include new products - SpectraLOCK PRO Premium and Laticrete Glass Tile Adhesive as well as new grout colors. "We hosted the CTEF Test Exam event this past Friday and Saturday. 18 installers completed the test on time. I am proud to inform all of you that all 18 installers have passed the test and are now certified installers by the CTEF. Homerun! This is big news for St Louis. Laticrete was and has been involved in product / industry training for most of these installers careers. This information should make for good conversations in Lati land huh?. A special thanks for Walt. He is quite handy! Ed and Ron thanks to you for your support. Can ya tell I’m a little proud of this one?" America is a country of "Volunteers" and my young nephew is a Volunteer Fireman in Weston Connecticut. 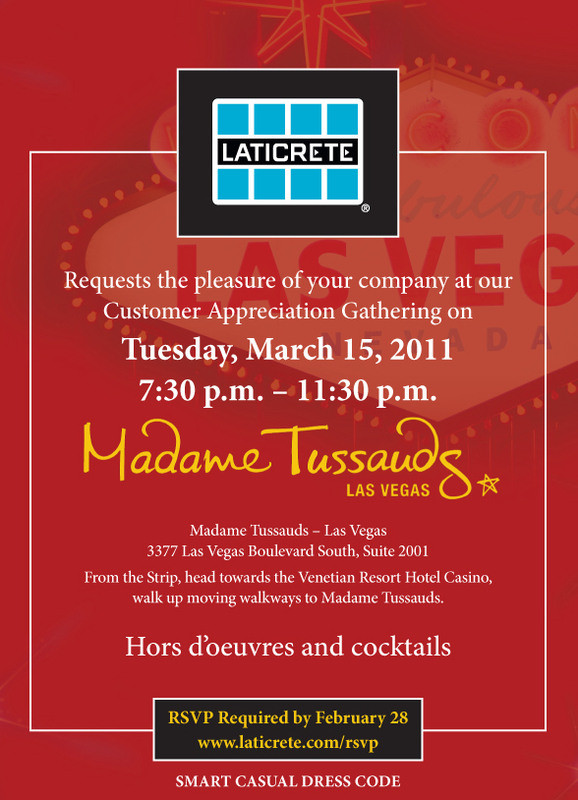 Visit www.laticrete.com/rsvp to sign up to attend our Party at the Coverings exposition in Las Vegas in March. 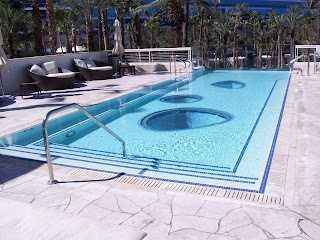 Designed and built by Hydroscapes Inc.
"Three classic elements were used here. Turkish travertine with a honed and unfilled finish, polished black granite, and paper mount Sicis glass mosaic. Simplicity and clean lines create a very elegant and everlasting finish. Foremost in this design is the permanence of the finishes. When installed correctly, and maintained properly, this structure will last for hundreds of years. 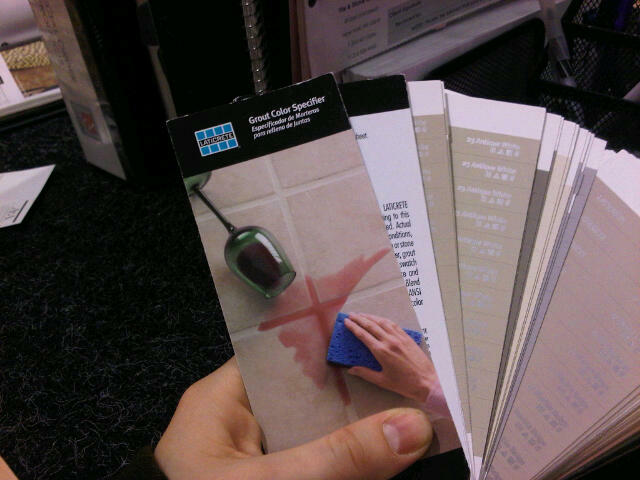 Sometimes people forget the main purpose of stone and tile finishes are their durability and ease of maintenance. The gorgeous designs, beautiful colors and textures are just dessert!!!" 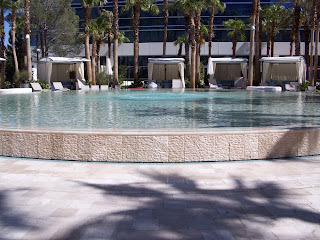 I visited this project while the pools were being built and tile & stone was being installed. Pools are now finished and look great. Please say hello to your dad for me. He was actually very helpful to me when I was a young man and starting projects like the one you saw in the email. 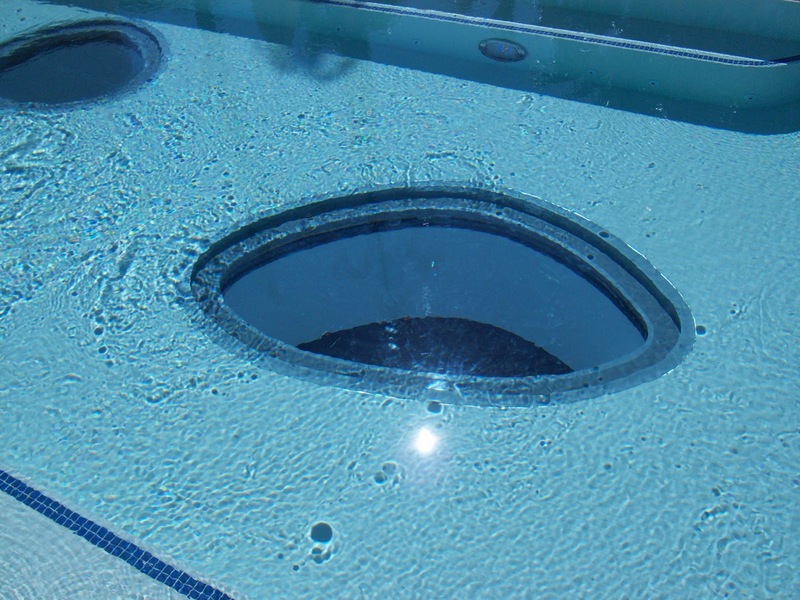 He will remember me as the guy in Las Vegas back in the early eighties who would call him and take up a lot of his time formulating setting systems for glass and also using 9235 waterproof membranes over concrete grout water features that were breaking up and leaking. He taught me how to mix 3701 with non sanded grouts and roll them out as a paint like finish over the membrane as a colored protective coating that would hold up under water. Please tell him I have been using that system for over 25 years now. 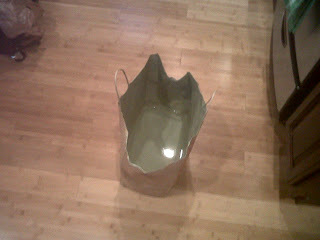 It still works as a inexpensive repair system when the customers cant afford a tile finish. 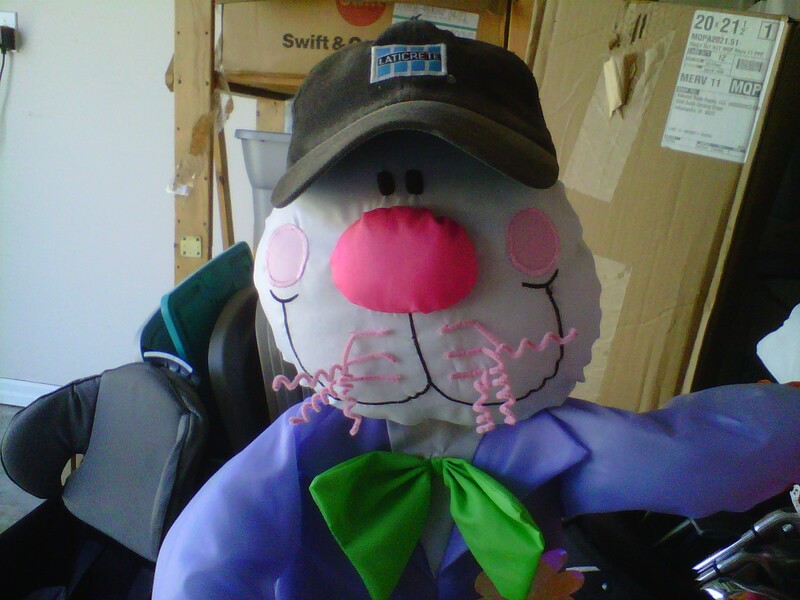 He holds a special place in my memory as a kind and patient mentor who always took the time to help me out when i was stuck in a project or formulating a difficult installation procedure. Like you I am a second generation tile and stone professional. 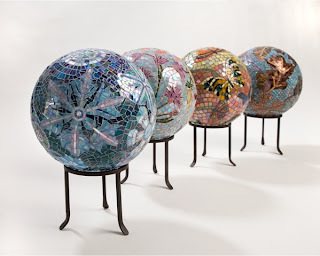 There are pictures of me and my brother in similar pictures as the one of you and your brother mixing the Laticrete bucket I understand what an honor it is for you to take the time to notice the craftsmanship involved in the project you saw, and thank you for taking the time to email me. 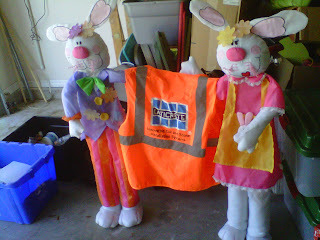 I have enclosed photos of 2 other projects that Laticrete was used on. 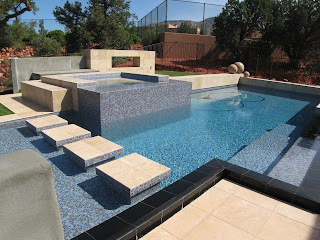 In all these projects my crews install the tile and stone as well as the structural masonry and concrete substrates. 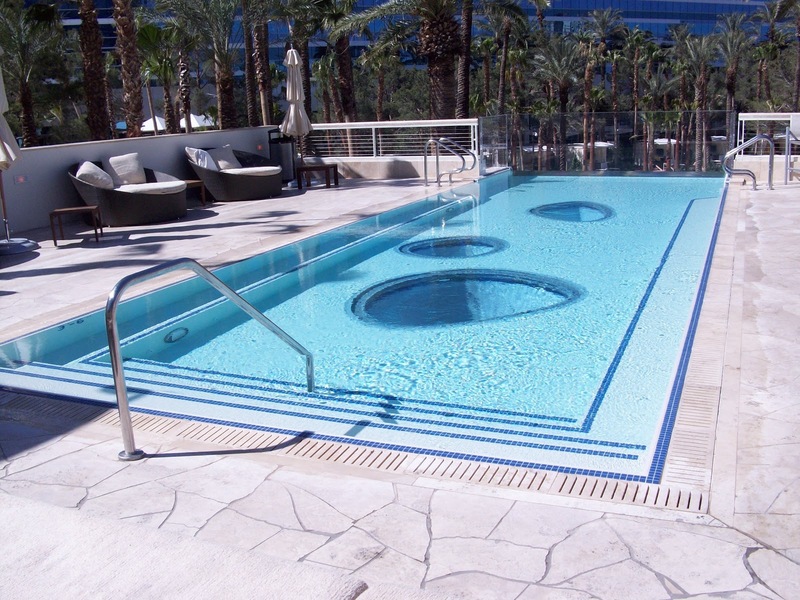 The one with the blue spa is Riata Bisazza paper mount glass with custom travertine mosaic veneers on the raised area and the other is Sicis paper mount glass with an interesting raised travertine wall with a custom split face travertine mosaic wave inlay. Let me know what you think. I would love to endorse Laticrete as the best setting system as well as the best technical support I have used in my 35 years of industry experience. 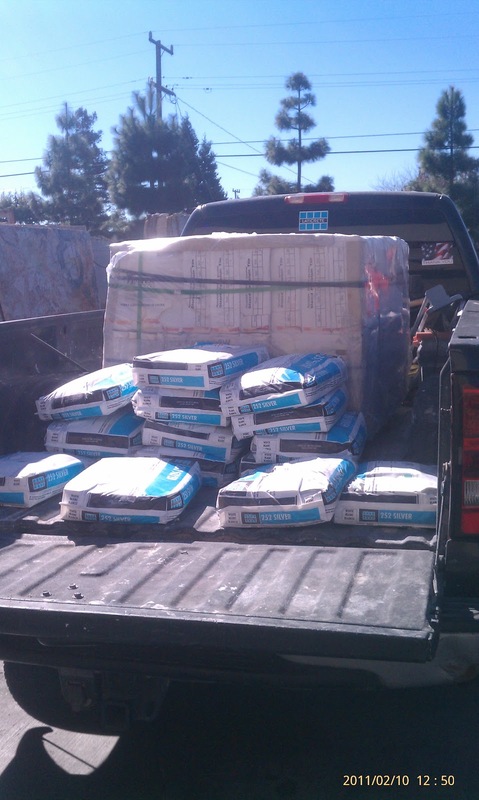 "Recently, my truck has not seen the dust of anything else other than Laticrete 252 silver. Thanks for the advise on an affordable and great apartment type of thinset ……"
One of my college attending daughters is working part time for an interior designer. She visited a NYC tile showroom to pick up some tile samples. She checked out the grout selection tools. 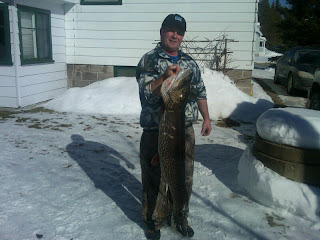 Nice Hat ..... Nice Fish ....! Randy Shalla with a 25 pound Northern Pike that he caught in Bark Lake, Barry's Bay, ON Canada. Randy is a Cabinet and Counter Top installer. "I couldn't agree more about Laticrete. Not more than an hour ago, I received a pallet of stuff I jokingly asked to try out. Laticrete's amazing customer service and willingness to go the distance to please their customers is astounding, not to mention how incredible hydroban is. 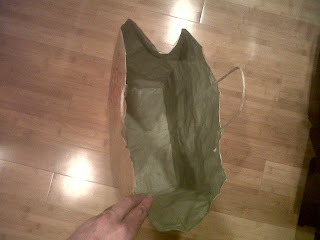 Seriously, check out Henry's blog, I waterproofed a paper bag with it. 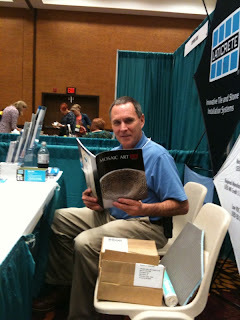 I am not just a Laticrete customer, I am a Laticrete fanatic." Tom is studying at a local university and will be working in our office a few days a week and studying at school a few days a week. One of my college attending daughters just sent me this photo. When my kids were little this was a favorite book to read to them. 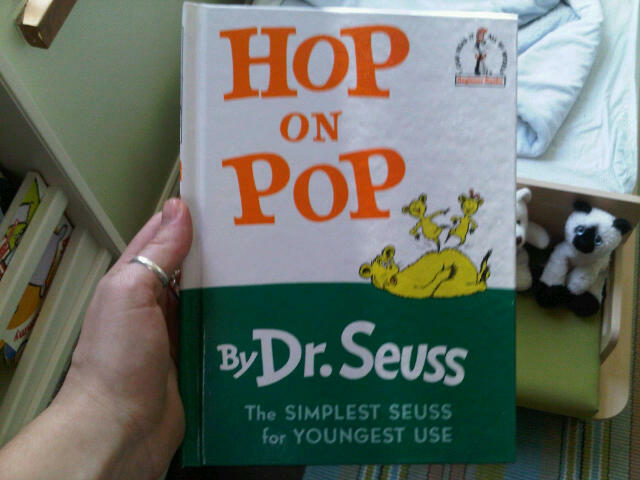 After reading I would lay on the floor and they would "Hop On Pop....!" This photo brings back great memories ...! Kids grow up fast ... Enjoy them while they are still at home. "Just a quick note on Joey. He has been asked by the "Frank Marotta Auto Show" to display his car and sign autographs this weekend at the Connecticut Expo Center! 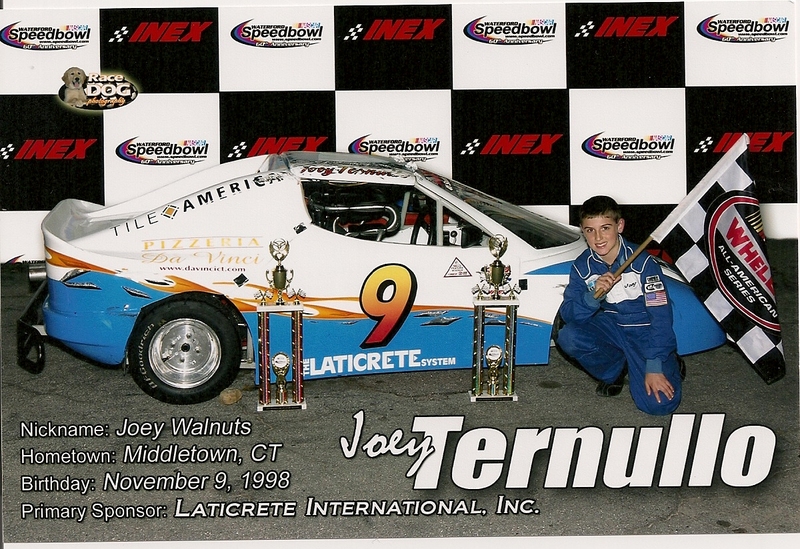 Joey and his car will be "on display" all weekend (Friday, Saturday and Sunday). He is scheduled to sign autographs Saturday afternoon." "You guys make the hands down best topically applied waterproofing membrane known to all mankind!" Glass Tiles - The best way to Install ....? 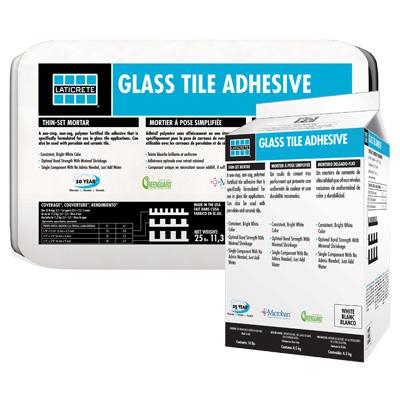 Laticrete Glass Tile Adhesive is a one-step, non-sag, polymer fortified adhesive mortar that is specifically formulated for use in glass tile applications. Laticrete Glass Tile Adhesive has great workability and produces an ultra white finish that enhances the look of glass mosaics, glass tile, and most any translucent tile or stone. 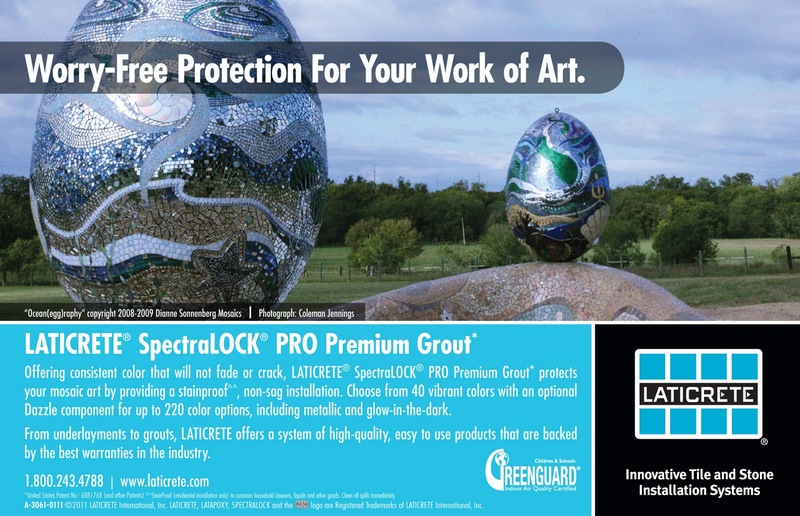 In addition to containing Microban® antimicrobial protection, Laticrete Glass Tile Adhesive is GREENGUARD certified for low VOC. Laticrete Glass Tile Adhesive can also be used with porcelain or ceramic tile.